Have you ever heard of a sniffer? This is a computer program that is used to decode data to make it readable but in nefarious ways. The bad guys use sniffers to spy, steal data, hijack devices, and even steal identities. Sniffers are also used by the good guys to determine how secure a network is. Unencrypted data is very vulnerable to sniffers, as is any info that comes through your browser that isn’t secure. Wireless connections are also particularly vulnerable to sniffers. Fortunately, you can use a virtual private network, or VPN, to protect yourself. A virtual private network, or VPN, is a network that allows you to communicate over a public, unsecured, unencrypted network in a private way. Most VPN tools have specific versions of encryption to secure your data. For instance, you might work from home, but you still need to send information to your office. Your business network might be very secure, but your home network might not be. However, you can use a VPN to protect yourself. Another example of a VPN is a remote access version. With this, you can take it on the road. And, on the road, when you use the internet on a computer or other device on a public network that is not protected, your information is very vulnerable to sniffers. People use these in places that offer free Wi-Fi such as airports, hotels, and coffee shops. This form of VPN helps to protect the data sent between your laptop or mobile device to an internet gateway. Essentially, a VPN makes a type of tunnel that prevents hackers, snoopers, and ISPs from looking at your instant messages, browsing history, credit card information, downloads, or anything that you send over a network. Security: A VPN encrypts the entire web session of the user. It makes every website just as secure as a bank or other financial site. Bandwidth Compress: A VPN compresses all of the traffic on the server before sending it to you. This allows you to have more access to your data. Access: There are lots of restrictions online imposed by various companies about where and when you can use their services. Further, many oppressive governments restrict information that would lead to “free thinking”. A VPN allows users to have uncensored, secure access to anything on the internet. Privacy: A VPN masks the addresses of users and protects a person’s identity from tracking. Here’s the deal. Your personal information is out there and people want it. However, you certainly don’t want this info to get into the wrong hands. No matter where you use your device, you are at risk of an infection or a data breach. 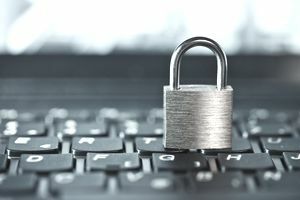 Any unprotected internet connection is dangerous, but if you use a VPN, your transmissions are protected. You might wonder if you really need a VPN. Well, what you should really be asking is if you want to go out into the wild web without protection. Basically, if you do this, anyone within about 500 feet, and as little as 300 feet, in some cases, can get all of your data…if, of course, they have the right knowledge and tools. What can they see? Everything to your comments on a local news article to your bank account number and password. If you are questioning if you need a VPN or not, you probably think that you have nothing to hide or that you have no information that a hacker would want. However, if you are online, someone wants your info. This might be as simple as an advertiser watching what sites you are visiting so they can send targeted ads. Or, it might be much more sinister. So, should you VPN or not? It’s a good idea when you are on any mobile device, including phones and tablets. You should also use a VPN if connecting to a public internet connection, such as at a hotel. Do you need it in your home? Maybe not, so you might want to use it on a case by case basis. VPNs are pretty cheap, if not free, so it might be a good investment. You might have also heard of a proxy. It’s similar to a VPN but not quite the same. A VPN is a virtual network that allows you to privately communicate over a network that is otherwise public. As you know, these networks protect your data between devices, including PC’s, Macs Androids, iPhones, laptops, and iPads, and an internet gateway. The network does this by crafting a secure tunnel that is impenetrable. This keeps hackers, snoopers, and any ISP from viewing your activity. This includes web-browsing, downloading, instant messages, and anything else that you might send over a particular network. A proxy server, on the other hand, is a bit different. If you use a proxy, your internet activity is anonymous. There are different ways that this works. For one, the destination server, which is the server that accepts a certain web request, gets these requests from the proxy server. This keeps you anonymous. Without a proxy server, you are no longer anonymous. Both proxies and VPNs are designed to change a person’s IP address. They also manipulate your browsing practices. This allows someone in a particular country to access sites that are often restricted, such as Facebook or YouTube. However, keep in mind that a proxy doesn’t encrypt your connection. This means that the information that you are sending and receiving on the network could be stolen or intercepted if you are on a public Wi-Fi connection. A VPN, however, not only acts just like a proxy, but it also encrypts your information. A VPN is private, and it can make any public network private for those who use them. A VPN can be used on a desktop or any mobile device including laptops, phones, and tablets. A VPN protects data. This data includes instant messages, e-mail communications, downloads, login information, and which sites you visit. A VPN alters your IP address, too. This makes it seem like you are using your computer elsewhere. This makes it possible to access sites like Facebook if they are otherwise blocked. A proxy server makes sure the user can browse with anonymity. This means the site you visit would not be able to identify anything about you. This includes your location. This comes in handy if you are somewhere that bans certain sites, such as social media. With a proxy server, your transmissions and data are not hidden nor encrypted. So, it can still be seen, but the server doesn’t know who is behind the actions. This also means that hackers can still access information if they can get to it, such as on a public Wi-Fi connection. Never leave your device alone when connected to public Wi-Fi — not even for a minute, such as going to a restroom. You might come back to see your laptop still there, but you also might have something a bit extra like a keylogger. This is used to capture keystrokes. Don’t e-mail anything that is of a sensitive nature. Save these e-mails for when you are on a secure network. Take a look at the networks before connecting to them. Make sure you are connecting to the right network and not to a network that is specifically set up to collect information, it might say “free wifi”. Do not turn on file sharing when connected to public Wi-Fi. If you don’t need to connect to a wireless connection, don’t leave your Wi-Fi on. Never do any online banking or work with sensitive information when connected to these networks. Do not let anyone see your screen. Look at your surroundings before settling into a spot for browsing. Make sure you sit so that your back is to a wall. Assume any Wi-Fi link is suspicious. Any link can be set up by a hacker, so exercise caution. Try to confirm any link by looking at the address closely. Ask an employee to confirm the name of the network. Hackers are clever. If you are at Joe’s Coffee Shop and see two networks, JoescoffeeWifi and JoescoffeshopWifi, which one do you connect to? Only visit sites that you don’t have to enter any personal information into. Save the others for a secure network. After all is said and done, it’s probably in your best interest to use a VPN. Hackers cannot get into these networks, nor do they have any access to them. When you choose a VPN, your data, browsing habits, and personal information is safe. All of the information you send remains encrypted, so you don’t have to worry about doing your banking or accessing any sensitive information. You can also download sensitive information and send sensitive e-mails. Just make sure that there are no wandering eyes that are looking at your screen. Otherwise, you still might put yourself at risk of snoops or thieves accessing your information.